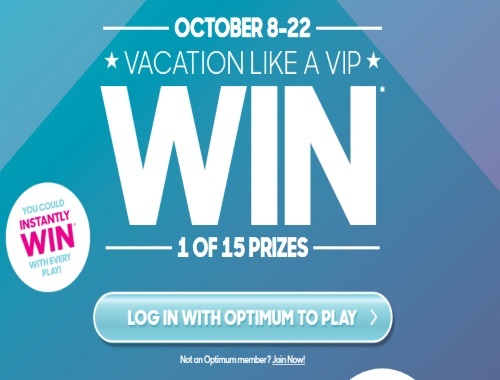 Shoppers Drug Mart has a new contest and wants you to vacation like a VIP! You could win instantly with every play! There are giving away 15 prizes, each with VIP prize packs including a luxurious all-inclusive trip for two to places like Dominican Republic, Mexico and Jamaica! Plus 500,000 Optimum Points and a $100 Shoppers Drug Mart gift card! Receive a contest card when you spend $5 or more on almost anything in-store to enter the contest. Contest closes October 24, 2016. Cards will be given out until October 22, 2016 or while quantities last. Make sure you ask for a card when shopping, I find sometimes the cashiers forget!